Written by Janet Choi on April 9, 2015 . 2. Connect on a personal level. Build trust by creating a strong emotional connection and appealing to people’s sense of self. First, make your email readers the star. Remember, they long to be confident and awesome while wanting you to be warm and trustworthy. Personalize messages using people’s names, and use the second-person “you” more than the distantly royal “We” and the off-putting selfish “I” in your copy. Then cast the vision of how you’ll improve their life or help them become better versions of themselves. Refer back to the reasons why they might have signed up for your list or registered for your product in the first place. What problem do you help solve? What’s in it for them? That helps people decipher whether to categorize your business in the “worth it” pile over the trash. Consider research led by neuroscientist Daniela Schiller showing how similar the brain’s process of making social snap decisions is to the mental mechanism of assigning value. First impressions activate the amygdala and posterior cingulate cortex (PCC) — parts of the brain that deal with emotional learning and valuation, including “economic decision making, the assignment of subjective value to rewards under risk and uncertainty, and credit assignments in a social exchange.” Trust is something you have to earn. Spell out the benefits of your emails. Set expectations that you’ll provide education, help get something done, motivate towards a goal, or offer financial value through coupons or a surprise freebie. 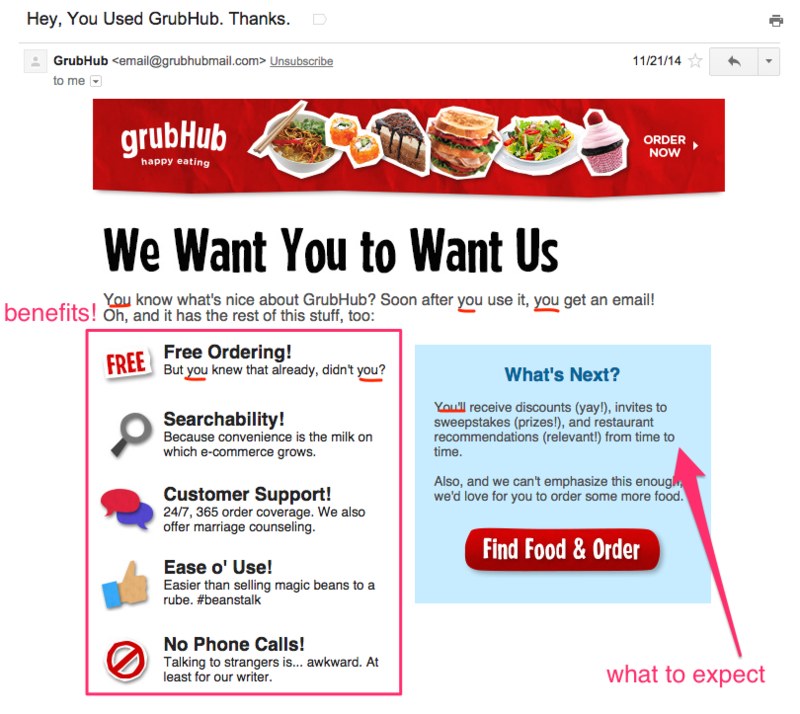 Check out the first email I got from Grubhub: This does a great job of conveying personality while connecting with readers using the second-person and explaining the benefits to come in future emails. Not only does that incentivize me to stay subscribed for discounts and recommendations, not including them in the first email keeps this welcome message clear. Edit ruthlessly. While the welcome message’s point is to make a trustworthy first impression, it’s also most prone to that common email mistake of a “more is more” approach. Too much choice and too much text makes information difficult to digest — which means you’ve neither eased uncertainty nor increased affinity. Just think of the in-person parallel: when you meet someone who drones on and on without regard to your reactions or needs, you zone out, shut down, or leave. So don’t babble or try to do everything at once by cramming tips, pricing information, installation directions, upsells, and anything else you can think of all in one email. 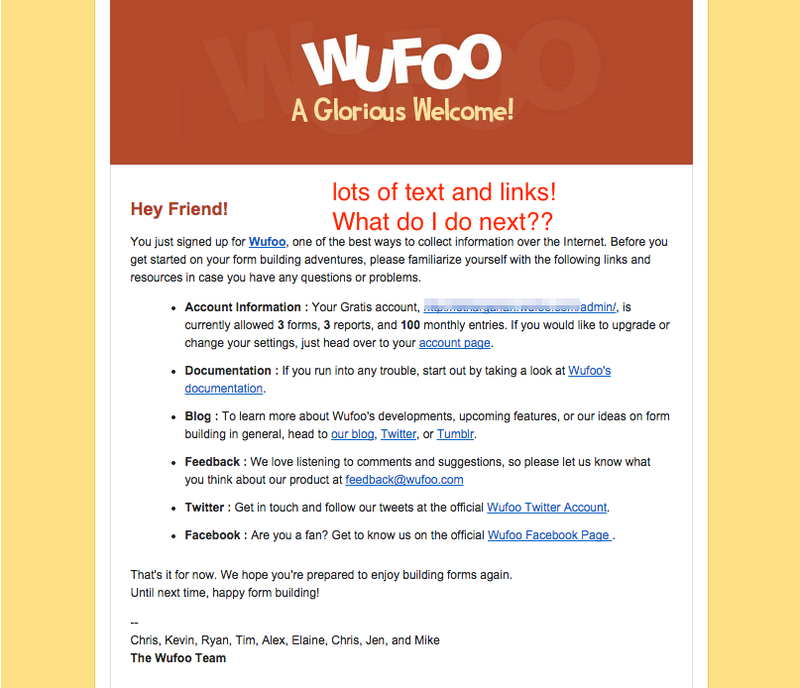 Take a look at how Wufoo’s welcome emails have evolved. 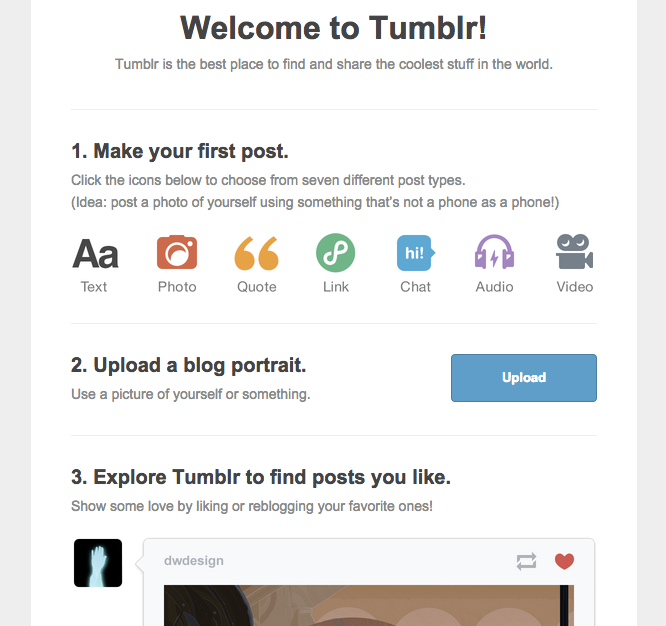 The old welcome email, while friendly in tone, presents the reader with 6 options for what to do next. That’s confusing and demotivating. Also, the first interaction probably isn’t the best time to ask for product feedback or send people over to the blog. 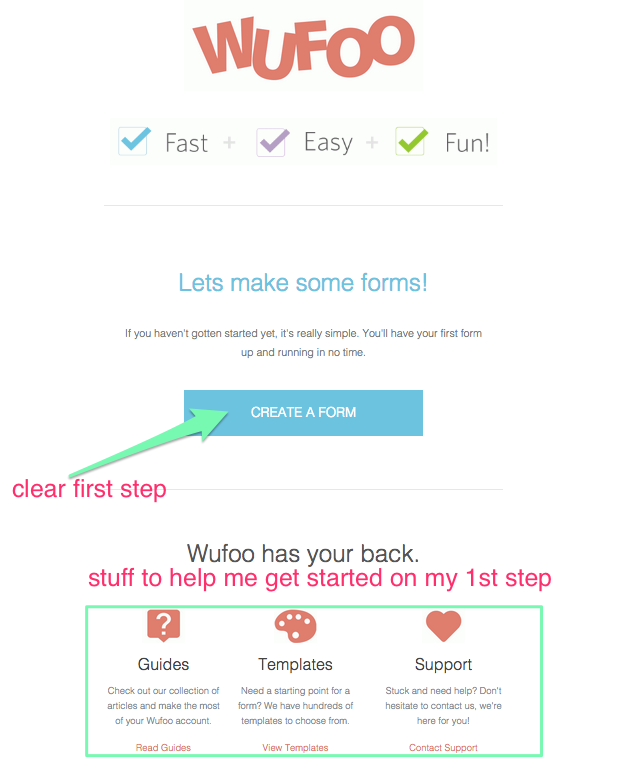 The new welcome email feels a little less personal, with the team member names removed and no greeting, but the message is much clearer on what to do next: create my first form! If you have a lot to say — spread it out over multiple emails in a welcome series. That way you can progressively nurture customer relationships using education and inspiration without turning people off at first encounter. Nothing feels more frustrating and dodgy than an uncommunicative company that refuses to engage with customers and their problems in a human way. Every email is a customer happiness opportunity — to get feedback, start conversations, and stand out simply for treating people like people. Don’t overlook the quiet act of listening in favor of flashy, one-sided promotion. As Amy Cuddy told Wired, one of the quickest ways to build trust is “to let the other person speak first or have the floor first. You can do this by simply asking them a question.” This tactic is especially valuable for entrepreneurs, scrappy startups, and smaller companies to turn size into a business advantage. Groove’s CEO Alex Turnbull found that simply asking a question in their welcome message — “why did you sign up for Groove?” — is incredibly effective. This email sees a 41% response rate, and not only establishes lasting, valuable relationships with customers but collects valuable qualitative marketing data. For Groove, the listen-first approach performed better than a product-focused message or product-specific call-to-action. “This may be because our in-app walkthrough, which we spent a lot of time improving, is good enough to keep the user engaged in their first session,” Alex explains. Ask subscribers questions such as Why did you sign up? like Groove, What do you need help with?, or What problem are you trying to solve? Or simply ask people to share a little bit about who they are. 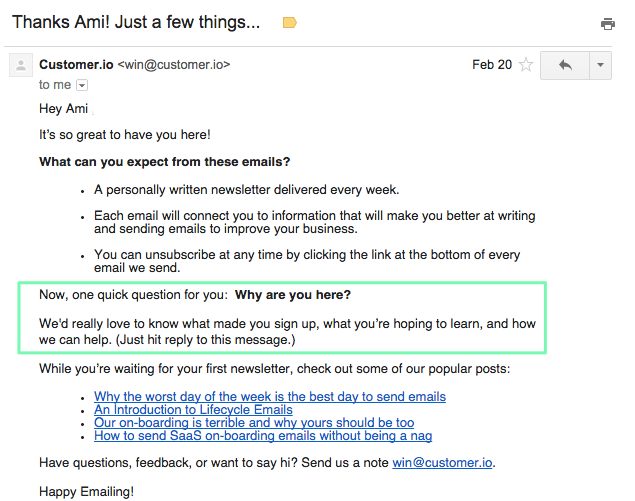 Here’s the welcome email that we send after people subscribe to the Customer.io newsletter, asking why they’ve signed up: While there’s definitely room for improvement here, I love hearing from people who take the time to share their email goals and questions. 5. Get the timing right. onboarding: Do people generally take time to explore your app or site after signup or go through a product tour? 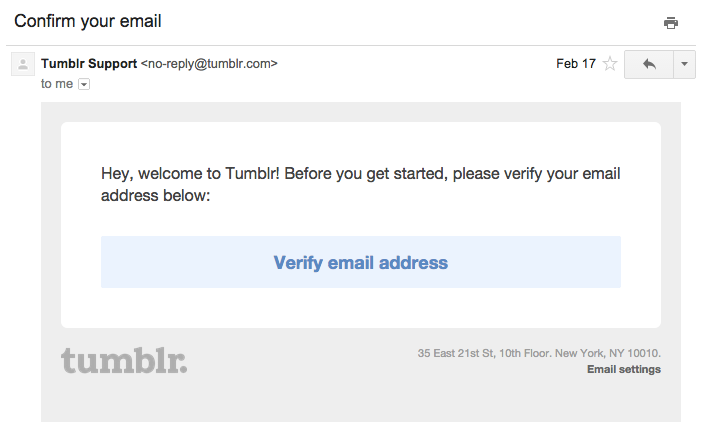 Then your welcome email might be more effective if it’s set to send hours or even days, like Tumblr, after first signup. Are you finding time spent on your site low and bounce rates higher than you’d like? 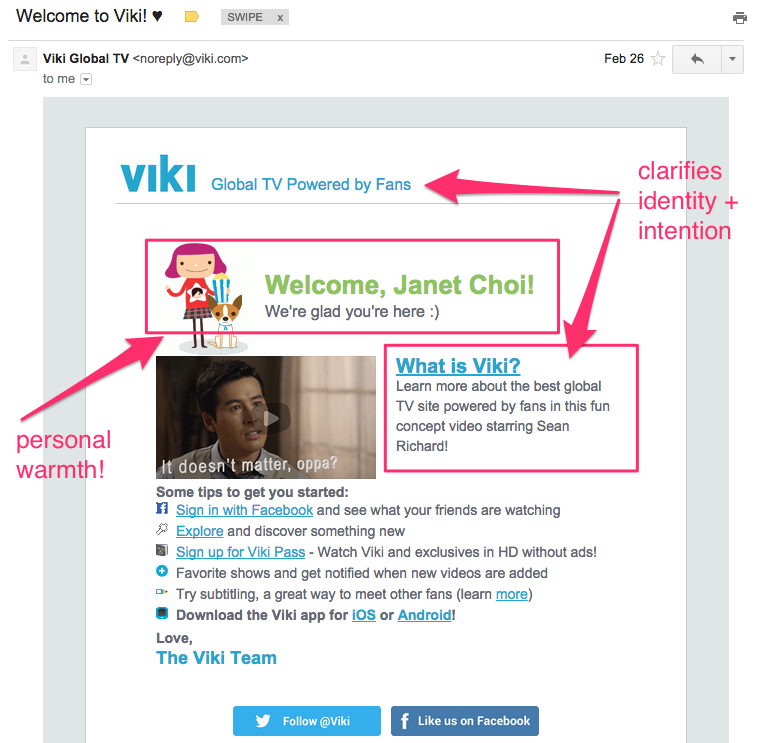 Set your welcome emails to send automatically or minutes after signup. user behavior: Knowing whether or not someone has taken an action like downloading something or completing a tour can change the optimal welcome time and message. What if users finally signed up for their accounts for the specific purpose of buying something? Then it doesn’t make sense to send them 2 welcome emails or encourage them to make their first purchase. That makes you seem unreliable or annoying rather than responsive and trustworthy.